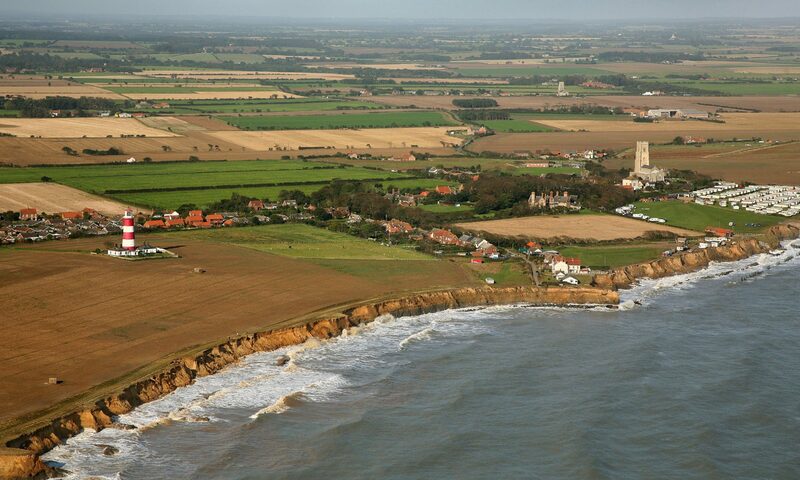 Communities in north Norfolk could be put at the forefront of pilot projects designed to help communities deal with the impact of coastal erosion, rising sea levels and climate change. A Norfolk delegation of politicians, senior council officers and campaigners travelled to London yesterday for a long meeting with environment minister Phil Woolas. As well as describing the meeting as much more positive than expected, the possibility of putting Norfolk forward as an ideal test bed for practical solutions to the results of erosion and global warming was well received, said North Norfolk MP Norman Lamb. Mr Lamb was joined by North Norfolk District Council’s coastal- issues portfolio holder Clive Stockton, the council’s head of coastal strategy Peter Frew, Yarmouth MP Tony Wright and co-ordinator of the Happisburgh-based Coastal Concern Action Group Malcolm Kerby. “We made the case for Norfolk to be treated as the first place to trial new ways of dealing with communities living on the coast,” said Mr Lamb. Mr Woolas’s predecessors Ian Pearson and Elliot Morley both had contact with the members of the delegation over recent years. Mr Pearson, who took over from Mr Morley in June 2006, immediately demonstrated a different attitude towards the Norfolk concerns. “In the Elliot Morley days all we heard was no, no, no, but both with Ian Pearson and now with the new minister in post, it is clear they are at least interested in listening,” said Mr Lamb. Mr Kerby said the meeting was “very constructive” and added: “It was explained that we would be the ideal area to pilot any adaptation schemes and they were not averse to that. “It makes sense, after all if you solve the current problems in north Norfolk you solve impending problems in many other parts of the country.